The sun is out, the flu has flown, Beckham will not take the field today against Seattle's Sounders FC. 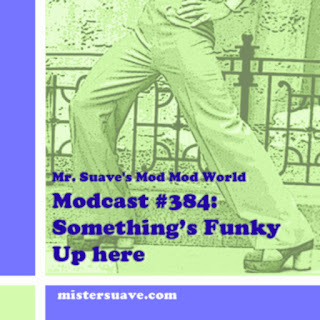 For the moment, all is right in Mr. Suave's Mod Mod World. All will be right in your mod world once you've listened in to this week's modcast. It's a doozy. Cool new tracks from Bubblegum Lemonade, Connett, 110th Street and The Cocktail Slippers -- whose latest video by the way you can check out down below. Rounding it all out is some hammond based acid jazz, some martini minded lounge music, some modish power pop. All in all, this should make your mod world right itself no matter what state it's in.